What Causes Grinding Teeth and Night Sweats? People have many sleep behaviors that affect their quality of sleep, and night sweats and teeth grinding are two that seem to be the most uncomfortable, especially if you sleep with a partner. Grinding your teeth may keep you and others awake, while night sweats may soak the bed sheets. These sleep behaviors occur because when you’re sleeping, your brain is actually very active. There are certain things that may increase brain activity at night and make sleep behaviors worse. 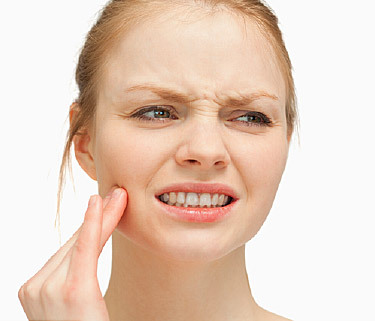 Night sweats and grinding teeth often occur for separate reasons. When they happen together, it is because of a specific illness that has both of them as symptoms. Other symptoms that may accompany teeth grinding and excessive sweating includeinsomnia, nausea, dizziness, feeling groggy in the morning, excessive night thirst, and excessive night urination. Note: If medication side-effects at night become persistent, contact your doctor for advice. Low blood sugar during the night can cause low blood sugar symptoms to happen while you are sleeping. Low blood sugar affects the nervous system and may cause you to grind your teeth. If it progresses, you may break out in sweats. Other symptoms include night eating, chills and shakes, awakening several times a night, trouble waking up, night terrors, and feeling agitated when you wake up. Sleep apnea is when you cease breathing for up to 10 seconds during sleep. This can cause high levels of carbon dioxide in your system which can affect the nervous system. The brain reacts with sweating and grinding your teeth, sometimes triggering you to wake from a sound sleep. Your thyroid hormones raise and lower your metabolism levels. If you have too much thyroid hormone in your system, your body remains in a hyper state and doesn’t rest well. Your heart beats faster, your temperature rises, and you may even have anxiety that causes you to grind your teeth. All of this along with increased temperature makes you sweat. Other symptoms includethin and dry hair, dry skin and nails, weight loss, bulging eyes, fast heart rate, high blood pressure, and neck enlargement. If you are suffering from a high level of anxiety when you are awake, you may be having anxiety/panic attacks in your sleep. Anxiety can cause your body to not rest well and keep it active through the night. Your nervous system may respond to things that are bothering you emotionally with teeth grinding and sweating. This is in response to adrenaline and norepinephrine levels staying active at night. Other symptoms includeheart palpitations, feeling of fear/dread, nightmares, night terrors, restless legs, waking up several times a night, dizziness, hearing noises, and sleep walking. You may drink a glass or two of wine before bed to relax, and you may fall asleep, but you aren’t as relaxed as you think. Alcohol can wreak havoc on the nervous system, causing grinding teeth and night sweats. Other symptoms includeracing heart due to alcohol’s dehydrating effects, nausea, vomiting, dizziness, bed spins, waking up extremely early, food cravings, and talking in your sleep. Hormone fluctuations in menopausal women can trigger a nervous system response. This is due to the lowering of estrogen and progesterone levels in mid-life. The nervous system notices there is something not right. Hot flashes can make your body think you are hot, even if you are not, and break out in sweats. You may also wake up clenching or grinding your teeth. Other symptoms includeless frequent menstrual periods, weight gain, heart palpitations, anxiety, mood swings, and osteoporosis (low bone density). This happens when the airway gets too small, but does not completely close. It causes less air to get into the lungs, and increases the work of breathing to get more air in. Because you need to breathe harder, it keeps you from falling into a deep sleep. There are some structural differences in people with this condition such as misaligned jaw, less area behind the tongue for airflow, and nasal malformations. Enlarged tonsils can also cause this condition. Grinding teeth and night sweats can occur due to structural issues, and less oxygen at night. Sleeping partner reports you are gagging, choking, apnea longer than 10 seconds. Your doctor may order you to have a “sleep study.” This is where you spend the night in a sleep center. They hook you up to wires to monitor you while you sleep. You may also need to be checked for other conditions that may be causing the problem, or have medications adjusted.